If you’re interested in booking any of our services or have a question for us, please get in touch using the details below. We can be contacted 7 days a week, between 8am and 8pm. Wherever possible, we will arrange a no-obligation initial visit to provide you with an accurate quote for your clean. If that’s not possible, you can send us some photos of the carpet, upholstery or curtains in question and we can provide an estimate based on what we can see. If you have never had a carpet cleaned because of the bad stories you hear, or you have and were disappointed with the results, I am prepared to invest my time and cleaning solutions for the opportunity to add you as valued customer who will use our services for many years to come. I like to call it the “dip your toe in” offer and while I’m with you, I will give your carpets and upholstery an honest quick review. 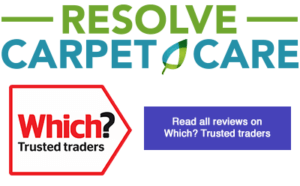 Please sign me up to receive occasional email offers and handy information from Resolve Carpet Care.